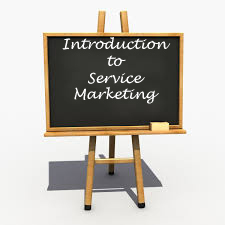 Question : Define and explain the terms "Services" and "Service Marketing". Everyday we interact with various economic activities like - getting courier delivered at the requested address, making phone call to friend, relative, or client, having coffee at coffee shop, or taking metro to commute office. Such activities are called services because they involves deed or act and offered by one party to another for sale. Services differ from goods in many ways. The way a product is produced, distributed, marketed, and consumed is not the way a service is. Hence, a different marketing approach is necessary for the marketing of services. Today, in this post we are going to explain – What services are? What are the characteristics of services? How services are marketed? Intangibility – Services are cannot be touched or hold, they are intangible in nature. For example – you can touch your Smartphone. But, you cannot hold or touch the services of your telecom service provider. Inseparability – In case of services the production, distribution, and consumption takes place simultaneously. These three functions cannot be separated. Variability – It is impossible to provide similar service every time. You’ll experience some change every time you buy a particular service from a particular service provider. For example – Yesterday you had a coffee at CCD. Today, you are again at CCD to have a coffee, but you have got different place to sit today; the person served you coffee is different today; other people having coffee are also different today. Hence, your experience of having coffee today is different as compared to yesterday. Perish-ability – You can store goods, but it is not so in the case of services. Services get perished immediately. Participation of customer – Customer is co-producer in production of services. For delivery customer involvement is as important as is of the service provider. For example – if you went to a parlour for haircut, how it cannot be possible without your presence and involvement. No ownership – In the sale of services, transfer of ownership not take place. It means to say that consumer never own the services. A different marketing approach is necessary for services marketing, because services differ from goods in many respects. Services are intangible in nature. They cannot be touched or hold. Goods are tangible in nature. They can be touched and hold. Services are inseparable in nature. Production, distribution, and consumption of service take place simultaneously. Function of distribution and consumption of goods can be separated from the function of production. Services cannot be owned. They can be hired for a specific time period. Services get perished after a specific time period. It cannot be stored for future use. Goods can be stored for future use. Services are more heterogeneous. It is very difficult to make each service identical. Goods are less heterogeneous. It is possible to make each goods identical. Customer Service in a service firm is highly interactive in nature. Customer interacts with the firm physical facilities, personnel, and tangible elements like the price of the service. The success of any service firm depends on how its performance is judged and perceived by the customer. Today, Service Firms are becoming highly competitive, so, it is essential for service firms to provide high quality services for their survival.